Storyhouse opens this week with a series of community events and the launch of a diverse summer season of theatre, film and literature events. Storyhouse is a major new civic cultural hub presenting drama, film and literature, housed in the redundant shell of a 1930s Odeon in the centre of Chester. 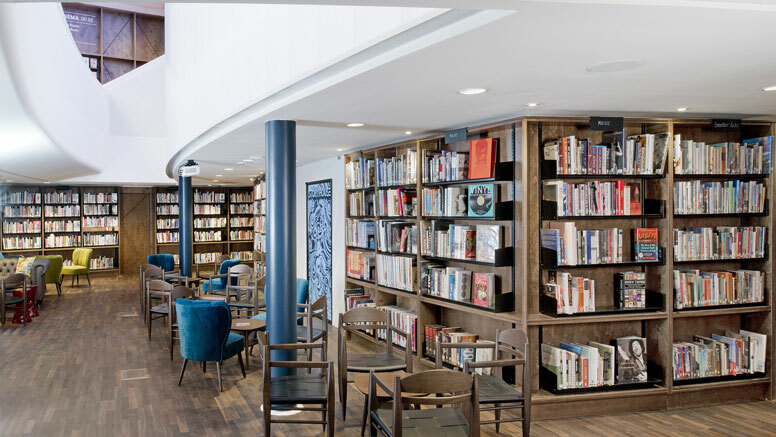 For Bennetts Associates, the design architects, the project presented an opportunity to create an innovative city-centre public building which will be open 12 hours a day, re-occupying the art deco cinema interiors and re-inventing the way a city library is used and perceived. Storyhouse aims to connect people through storytelling, and brings theatre and cinema back to Chester after a decade-long absence. The building includes a large main theatre space, a studio, cinema and city library with over 700m of shelving throughout the building. Demco Interiors were the consultants on the interior furnishings, shelving and fittings. 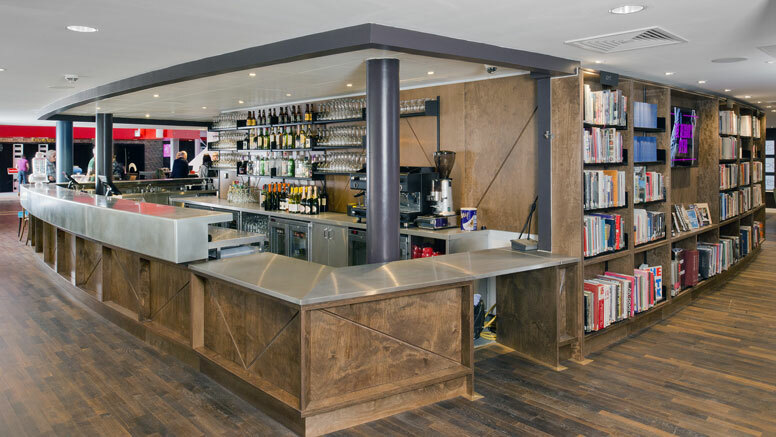 They designed, manufactured and installed all the shelving throughout the building arranged over three levels, together forming a curved screen of shelving at the rear of the Odeon main space. The steel Cantilibra shelving was housed within a dark stained and lacquered plywood carcass to create the Art Deco style. The joinery also included a routed diamond shape to continue the Art deco theme. The same finish and diamond shape was used throughout the building, in the bar and restaurant areas, computer benching and even on the lift shaft. Project summary by Bennetts Associates. A critical architectural review by Rowan Moore writing in the Observer. The Demco Interiors project page, with a gallery of further interior photos. Crowds flock to new cultural centre which has become a bustling hub of activity. Report and extensive image gallery from the Chester Chronicle.